It’s that time of year for the kids to get their school pictures taken and a few weeks later we get them back and we don’t like out how they came out because inevitably the photo is taken right after gym class and they are red in the face, sweaty and in their gym shirt. Then we get a refund or schedule a retake and, eventually, they still end up looking like some strange child that’s not our own — combed hair, forced crooked smile, cheesy bad backdrop. 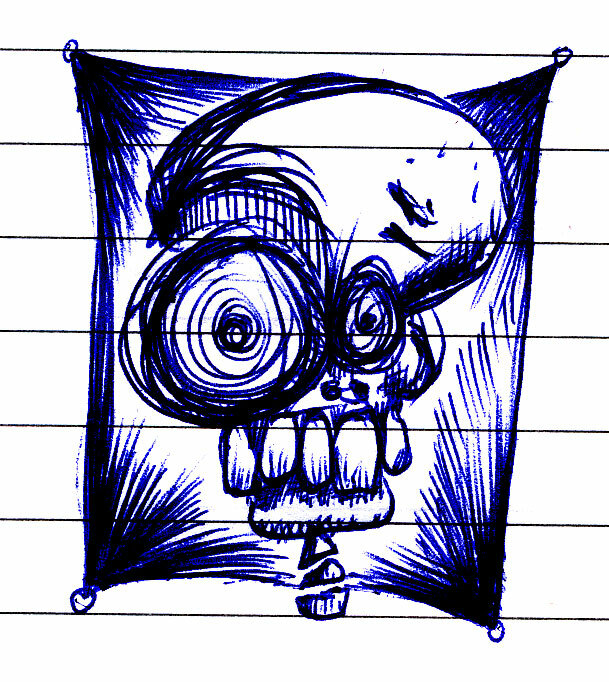 This entry was posted in pictures, school, skull. Bookmark the permalink.